I have been fighting blood cancer for 12 years, and I have been fighting it hard. I have taken every opportunity given to me to treat it and live my life to the fullest. When my MDS relapsed and showed signs of progression to AML in July 2015 I was shocked to find out that the choice to fight was no longer in my hands. I had to ask for permission to fight. 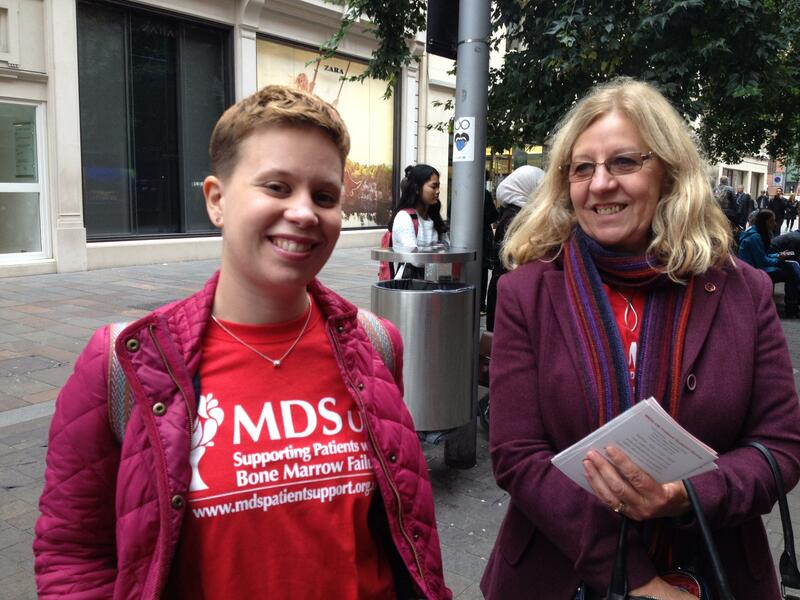 Emma Paine is an MDS patient and an active member or our MDS Patient Support group. She had a first stem cell transplant in 2011 and recovered well, but her MDS came back in 2015 and she needed a second transplant. Whilst waiting for approval from the IFR I got sicker and sicker, I spent roughly 3 months in hospital on continuous IV antibiotics as my immune system weakened and the AML progressed. In the end my consultants made the decision that we needed to go ahead with chemotherapy regardless of the decision on the second transplant funding. This was a risky choice, as although the chemo would kill the cancer cells, it might also kill too much of my normal bone marrow for me to stand a chance of recovery. However, if we left the AML to progress further then the transplant might not stand a chance of working full stop. 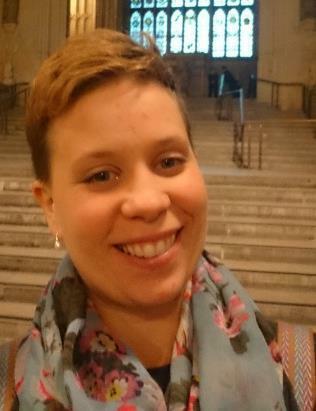 Emma at the Parliament, attending a meeting to discuss the decision to not routinely fund second transplants. Emma's been keeping a blog since August 2015, with all the details of her journey through chemotherapy and bone marrow transplant. She's recorded her emotions pre and post the transplant, and deals with subjects common to all MDS patients, such as mental health, infections and her Hickman Line insersion and treatment. Email it to mds-uk@mds-foundation.org, or call to our main office Tel: 020 7733 7558. You may talk about any aspect of the condition, or how your experience has affected or changed you. Feel free to add photos as well. Thank you in advance!